A military base in a foreign country has special jurisdictional issues in and of itself — the base is U.S. property within a different sovereign territory. For security reasons, agents or process servers are routinely denied access to the base and its employees. 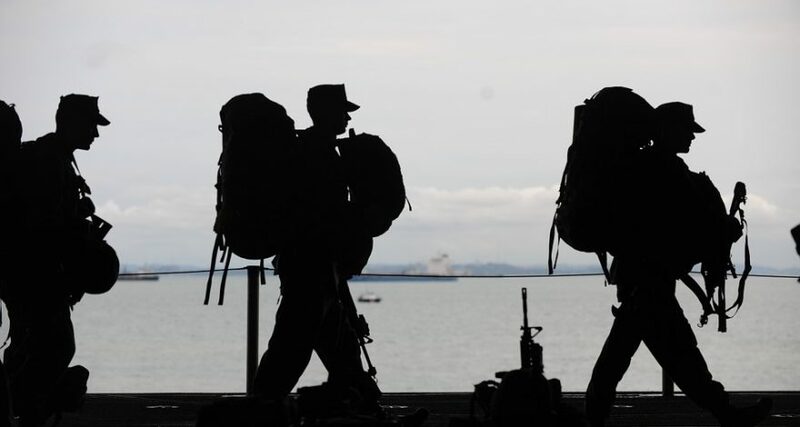 Litigants can try to use high-ranking military personnel to assist with service, but the defendant can simply decline service, leaving the litigant with no recourse. Military commanders are prohibited by US law from effecting compulsory service. Even military defendants posted to non-combat duty in peaceful regions are difficult to reach for valid service. There is growing public perception that military personnel are hiding behind their fatigues to avoid being served. Whoever…willfully uses any part of the Army or the Air Force as a posse comitatus or otherwise to execute the laws shall be fined not more than $10,000 or imprisoned not more than two years, or both1. Passed in 1878 in response to abuses prevalent during post-Civil War reconstruction, the Posse Comitatus Act derives from the principle that military forces were established to defend against external threats and should not be used to enforce internal domestic laws. So, while the Department of Defense encourages military personnel to accept service of process from US litigants, it is not a resource if the defendant declines service. If the military defendant refuses voluntary service, the plaintiff should resort to service via the Central Authority, as endorsed by the Hague Convention of 15 November 1965 on the Service Abroad of Judicial and Extrajudicial Documents in Civil or Commercial Matters, provided the host nation is a signatory to the Convention. Here, too, the practical applications of this method vary widely. The prevailing Status of Forces Agreement (SOFA)2 may deny access to the base to the Central Authority’s representative. Further, the base commander may impose reasonable restrictions upon persons who enter their installation to serve process. The Central Authority’s only choice may be to effect service on the defendant off the military base, a method any practitioner can foresee to be problematic and time-consuming. It may even require an interpreter. A final problem with service via the Central Authority under the Hague Service Convention is the translation requirement. A member of the US military obviously almost certainly understands English, but in most cases the Convention requires that documents to be served by the Central Authority must be translated into the language of the host country. If the above fails, a plaintiff may resort to service by registered mail, remembering that such service is in danger of being quashed absent proof of actual and timely notice. Additionally, service by mail must be permitted by the host country to avoid being quashed. Litigants who petition the court for permission to serve via some particular means (such as registered mail) are often successful, especially if enforcement of the judgment is to be achieved exclusively within the US. This may be the fastest and least expensive method to ensure valid service of process on a military defendant overseas. International service of process is complex. Contact LLS to speak with one of our experienced attorneys. 1 Posse Comitatus Act, 18 U.S.C. 1835. Posse comitatus – The power or force of the county. The entire population of a county above the age of fifteen, which a sheriff may summon to his assistance in certain cases, as to aid him in keeping the peace, in pursuing and arresting felons, etc.” Black’s Law Dictionary, 6th Ed. 1990. 2 Status of Forces Agreements define the legal status of US military personnel and property in the territory of a host nation. In particular, the agreements determine where lies civil and criminal jurisdiction and resolve other issues such as tax liabilities, postal services and exit and entry into the country. 2 Major Alan L. Cook, “The Armed Forces As A Model Employer in Child Support Enforcement: A Proposal to Improve Service of Process on Military Members,” 155 Mil. L. Rev. 153, 186 (1998). Wasn’t the Posse Comitatus Act repealed in the NDAA of 2006?